Home Uncategorized Sophie Blackall is in the (Light)house! An INTERVIEW!!!!! Yay!!!! 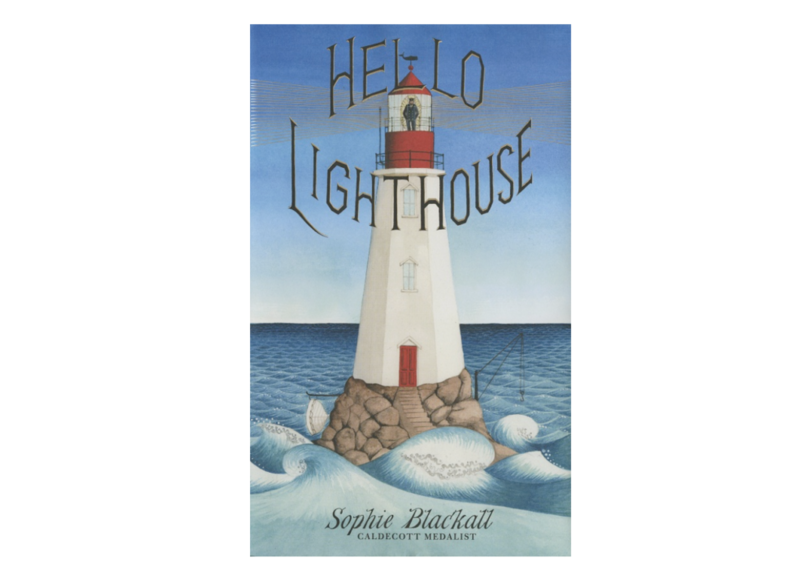 Caldecott medalist Sophie Blackall’s latest picture book, Hello Lighthouse evokes gasps of awe from both it’s gorgeous look and feel, to its beautifully written story and message. Savvy readers of Picture Book Builders will note that Suzanne Slade posted earlier about the book, which you can see here . I wanted to talk about bookmaking with a slant toward illustrating and Sophie was kind and generous enough to thoughtfully answer my questions. Hi Sophie! You write and illustrate your own books as well as illustrate books written by other authors. Do you prefer one over the other? What are the differences in the two processes? Aha! A good picture book depends upon the relationship between its words and images. This relationship is always fascinating, and especially when the author and illustrator are two different people. An author illustrates or an artist writes her own book. Sometimes she begins with the story, sometimes she begins with the images. I tend to begin with a single painting which inspires a story, which gets written and rewritten. When I have a decent draft I begin to sketch the dummy, and sometimes go back to rewrite sentences as the art takes shape. I keep tinkering with the words until the very end. The original painting never makes it into the book, but I always keep it as a reminder of how it all began. In this case, an illustrator is offered a manuscript by a writer who is no longer living. It might have been discovered in an attic or a bread tin (like posthumous works of Margaret Wise Brown and Herman Melville), or it might be a new edition of a previously published story. This brings both restrictions and freedom: the manuscript is set in stone, but the author also cannot tell you how they want your characters to look. Some years ago, I illustrated Aldous Huxley’s only book for children, The Crows of Pearblossom. It is weird and wonderful, dark and funny, strange and unsettling. It was a privilege and a challenge, not least because the book had once been illustrated by one of my favorite artists, Barbara Cooney and I wasn’t sure whether I should look at her version, or not look at it. I opted to look at it, and included an homage to Cooney in my own. This is probably the most common relationship. An editor acquires a manuscript and matches it to an illustrator. Sometimes their dream illustrator is unavailable, or uninterested, so they will likely have a few in mind. Sometimes the author will have a say in this. Sometimes they won’t. Sometimes a new illustrator will be asked to produce sample drawings or character sketches. Sometimes an author will be asked to wait years to see their book in print, to accommodate an established illustrator’s schedule. I bristle when an author speaks of an artist illustrating “my book”, as though they have hired a decorator. Once a writer hands over their story, they must acknowledge that a picture book is a partnership. The pictures are not ornamentation. They are of equal importance. At the same time, I can empathize with the author who must relinquish their story, who has little control of how it’s visualized. It is worth noting that a non-fiction picture book has its own complications. There is different research required by both author and illustrator. The artist must assume the writer has done their work and that the information is rock solid. The writer has to hope the illustrator will be meticulously diligent about visual details. Sometimes the writer will assist the illustrator and share research. Sometimes they’re on their own. The picture book relationship calls for enormous trust on both sides. The editor is crucial in all this. They are the go-between. The editor sees the potential of the manuscript, and where and how to let the words or pictures do the work on each page, to best tell this particular story. When these two halves combine successfully, it can be magical. The words inspire the drawings, and the drawings add depth and substance and soul and context to the words. Each elevates the other in a perfect union. Now and then two people work together in partnership, and it can be a beautiful thing. Sometimes the relationship develops after the first book, sometimes they pitch a book together. Either way, the author and illustrator seem to belong together, like A.A. Milne and E. H. Shepard, Roald Dahl and Quentin Blake, Jon Klassen and Mac Barnett. Sometimes they’re married, like Alice and Martin Provensen or Carson Ellis and Colin Melloy. I have had the extremely good fortune of working with Annie Barrows on Ivy + Bean, Meg Rosoff on several picture books and John Bemelmans Marciano on the Witches of Benevento. Our books are better for our friendship, our conversations, our knowledge of our characters, our combined research and times spent hashing out ideas. Not to mention how much more fun it is being on the road with a partner in crime. These days I prefer either collaborating with a writer I trust and admire and enjoy spending time with, or going it alone. Although if a previously undiscovered story by A.A. Milne or Edward Gorey turned up in a bread tin, I probably wouldn’t say no. You chose to write a picture book where one of the main characters is a place. It doesn’t move, or change. This is a main point of your story, but illustratively this seems quite challenging? Was it? What are some of the things that you did to vary the illustrations and still create exciting page turns? Two of my all time favorite picture books are The Ox-Cart Man, illustrated by Barbara Cooney, and The Little House by Virginia Lee Burton. Both are deceptively simple stories about change and renewal and the passing of time. I had both in the back of my mind when I set about making Hello Lighthouse. I wanted to make a book about a lighthouse, because I love lighthouses, but also for that book to be about life and love and loss and hope… and life. I knew early on that I would alternate spreads between exterior and interior scenes. That the exterior scenes would have the lighthouse as a constant. Steadfast, grounded, built to last forever. It appears in exactly the same spot on the page each time. Around it, storms rage, the fog rolls in and out, icebergs drift by and years pass. Inside the lighthouse the life of a family unfolds. Daily chores and monotonous routine punctuated with peril and drama, romance and childbirth. The scenes are contained in circles, like the round rooms of a lighthouse. They start out quite small, but as the keeper’s family grows, the circles expand to fill the page. Not only is the story wonderful, and the artwork stunning, but the physical book itself is gorgeous. How much of the designing of it did you do? I love the way you work the author’s note into the paste down end page and have the whole book look as though it’s nestled inside the Lighthouse journal! Thank you! It is a joy to work with my editor, Susan Rich (to whom the book is dedicated) and the creative team at Little, Brown. Susan and I worked very closely, talking for hours about all the tiny details, discussing trim size to within a quarter of an inch, agonizing over whether to make the cover image a lighthouse by day or by night, and how fine we could make the gold foil-embossed beams on the jacket. We wanted the book to be a beautiful object, to consider every detail as part of the whole package, from elongated trim size to the surprise case cover. Have you always had a curiosity, or love of lighthouses? I have always loved lighthouses. I visited several when I was researching this book, and stayed in one for several days, on Quirpon Island on the Northern tip of Newfoundland. I find lighthouses both compelling and comforting. I was working on the book during some of the most turbulent times I’ve ever known. It was a great comfort to escape into my painting, to transport myself to a tiny island out at sea. Recently a child at a school visit asked, “What were your emotions like when you made Hello Lighthouse?” I told him that there were a lot of bad and sad and crummy things happening in the world when I made this book, and that when the world is full of such things, books offer an escape to a different, kinder world. And if we can’t find exactly the world we seek in a book, then we can make our own book and our own world. What is this Milkwood Farm that I’ve been hearing you talk about? Thank you so much, Sophie, for taking the time to share your insights with our readers. And thank you from the very bottom of this huge fan’s heart for making such beautiful books! Hello lighthouse, interview, Jennifer Black Reinhardt, Picturebook, Sophie Blackall. Bookmark. Hello Lighthouse is a beautiful book. I have been to Newfoundland many times and know the important role lighthouse keepers played in their day. I love the intricacies of each page and the layers of language with each word perfectly chosen. A great interview. Thank you, Jane. I would love to go to Newfoundland sometime. I’m so glad you visited PBB today! What a beautiful book, and surely this must be one of the best interviews ever on how a picture book text and illustrations work together. Full of insight and inspiration. Thank you, Sophie, for sharing your wisdom and sharing all the many, loving details of how “Lighthouse” was created. Every thing about it is perfection. Sophie did a wonderful, thoughtful job and I’m so grateful she took the time to do so. I’m glad you enjoyed it, Marianne! I’m looking forward to reading this book this summer. Thank you for the interview! You’re very welcome, Tina! You will love the book I feel sure! I love lighthouses and will be visiting some this summer in the Great Lakes. Lovely picture book! Thanks for the interview. Thanks for visiting and taking the time to comment, Danielle! Enjoy your travels! This is a wonderful interview. Great information about the relationship between authors and illustrators and about the perspectives in her book. For me, I loved hearing that while her story may start with an image, that original painting never makes it into the book. I was on the verge of understanding this with my own stories, but I think this could speed up that process. Also, I just finished Brave New World, and I had no idea Huxley did a picture book. So intriguing. Thank you both! Thank you, Mary! I’m so happy that you enjoyed the interview and stopped by Picture Book Builders today! Thank you, Jennifer, for bringing this book to my attention! Can’t wait to see it! I think you’ll love it, Mary! Thank you for visiting our blog! This looks like such a lovely book! I have always loved lighthouses too. Thank you. Sophie really captured the real essence of the lighthouse and the family who lived there. It tells a beautiful, timeless story. I feel certain you’ll like it. Thanks for stopping by today, Sharon! It is such a gorgeous book and so fascinating to read about how illustrators come to a project. I love Sohpie’s work! Thank you! Thank you, Sophie, for sharing how illustration works both on your own projects and on collaborations. Illustrators and authors are absolutely equally important! HELLO LIGHTHOUSE is a stunning picture book. Congratulations on your success! Woot woot! Another amazing book by Sophie for sure! Thanks for visiting Picture Book Builders, Judy! Being an author on the text side of picture books, I love these peeks into illustrators’ mindsets. And Sophie Blackall is one of my favorites! Thank you for a fine interview, Jennifer. Thank you, Patricia! I’m so glad that you enjoyed the interview. Sophie went above and beyond! Both with her beautiful book and the interview! What a fantastic interview. Thank you, Jennifer and Sophie! I’m a big fan too, and loved reading about the collaboration you’ve had with certain writers and with Susan Rich on this book. It’s the sort of relationship we all would love to have when we work on a book. Congratulations on another gem. And Milkwood Farm looks beautiful! Breaking down the different relationships between authors and illustrators helps clarify the process. I hadn’t thought about illustrations for a dead author and how that changes the dynamics. The words cannot change. With a living author there’s wiggle room. I cannot wait to read this book. I live in Arizona and it’s hot now. This will be a mini-vacation and reprieve from the heat. That’s a great idea, Cassie. Sit down with Hello Lighthouse and feel the ocean breeze! Thank you for visiting and commenting! UPDATE: I Apologize….. I meant to congratulate SOPHIE BLACKALL on the new book and answers to excellent questions asked by Jennifer. Hi Annie! I was thrilled by Sophie’s point about ‘my book’. It is surprising how often that bias happens to illustrators and in so many ways. I loved her point about ‘not being hired as a decorator’= the perfect analogy. Congratulations on your success, it sounds obvious that you love what you do! I love lighthouses, too! . . . And as the author of a picture book, I always explain to kids that it’s only half my book. It’s important that they understand that. Thanks for the great post. Thank you, Jennifer and Sophie, for sharing this informative and insightful interview that brings to light the “partnership” that makes a picture book. I love this book for so many reasons and now I love it even more. I’m happy that you liked the interview, Anne. And thank you for visiting and commenting on PBB! This was a fabulous interview – appreciate the insight! Beautiful book as well! Thank you, Charlotte! Thanks for visiting and commenting! Gorgeous book. And Sophie is a doll! Thanks for the interview. Hi Shutta, you are welcome and it sure is a gorgeous book! Thank you! 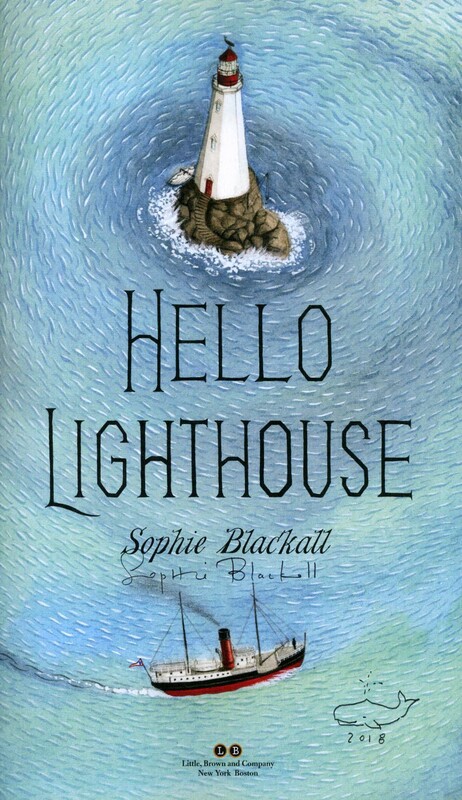 Being a huge fan of Sophie’s work, I recently grabbed Hello, Lighthouse from our library’s new releases section. What a gorgeous, magical, deeply layered book! Thanks for sharing so many details of your creative process in this interview and for the provocative questions . Hi Jessica! I’m so glad that you enjoyed the interview. I really loved hearing Sophie’s thoughtful answers! Thank you! I just read Hello, LIghthouse yesterday! Gorgeous! I loved the illustrations and the story, the complete package! Congratulations! Glad you like the book, Angie! Thanks for visiting PBB! Thank you! I’m so glad you liked the interview and Sophie’s beautiful book! This book looks beautiful, and I am onboard for a retreat at Milkwood Farm! Thanks for another great interview Jennifer! Hi Amanda, doesn’t Milkwood Farm sound fantastic? Thank you for visiting and commenting! Thank you for this information packed interview, Jennifer and Sophie. I’ve always been fascinated with lighthouses and love visiting them whenever I get the chance. With all the technology that now aides navigation, I’m glad books like Hello, Lighthouse are available to keep these icons of the past alive for today’s children. PS: I joined the mailing list for information on Milkwood Farm and look forward to hearing more. Thanks, LeeAnn for your thoughtful comment and for visiting Picture Book Builders! So excited to get why hands on this book. I adore lighthouses. And thank you for this wonderful interview–I loved hearing about Sophie’s process. Hi Denise, I’m sure you’ll love the book when you see it. Thanks so much! Love the interview. I always like to hear everyone’s process. Can’t wait to get the book. Hi Sandie, I’m so glad that you enjoyed the interview. Thanks for stopping by and commenting! I love learning the backstory of picture books. This one is getting a lot of attention – for good reasons!